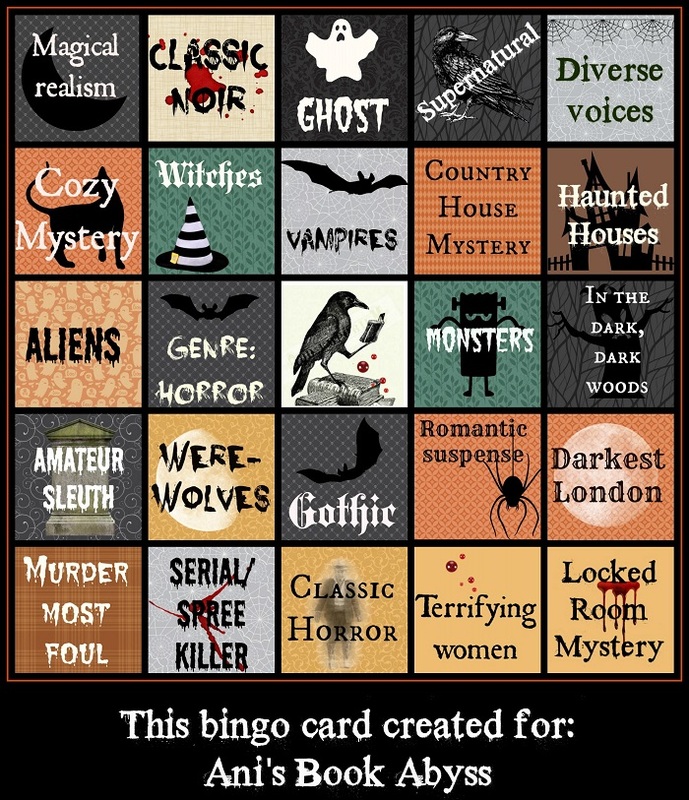 Ani's Book Abyss: Halloween Bingo 2017 | Update #4 - Week Three Ramblings! Halloween Bingo 2017 | Update #4 - Week Three Ramblings! 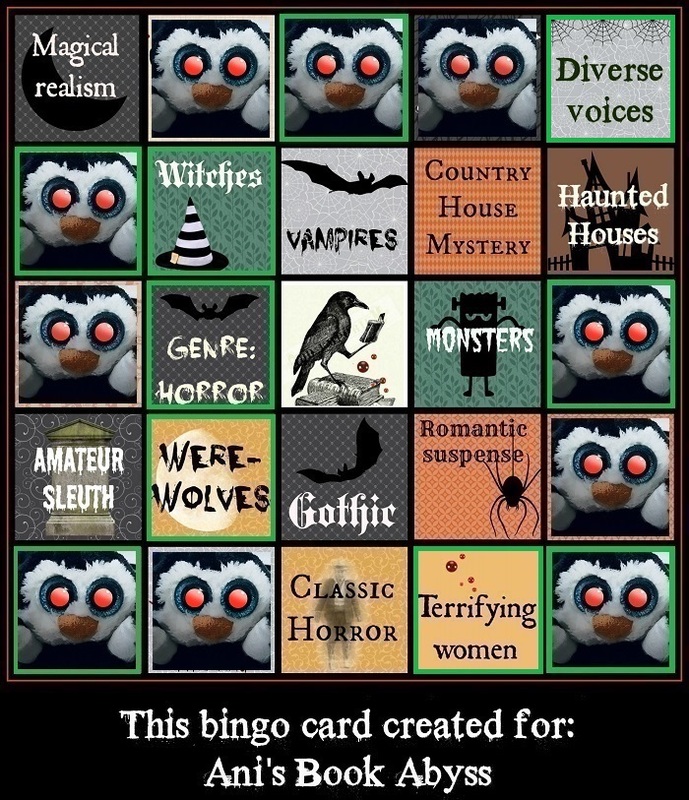 Obviously I'm not trying to rush through this Bingo, as half of the squares on my card that have been called have yet to be read for; but I've read five other books for squares that haven't been called. So much for my initial plan of just following the called squares and reading for them as a guide. Now, I'm more interested in finishing my Red Eyes Penni Bingo card frame... Although at least two books won't be read until October, so I may end up having a frame with gaps. On the other hand, I'm considering switching out the book I chose for Amateur Sleuth--the book I chose is also for another reading challenge, the Reading Assignment Challenge, and I can't read it until next month. But Amanda Stevens' book, Just Past Midnight seems fitting for a Halloween Bingo read... so if I switch out, I'll just have to find another spot for it, I guess. The other square is Classic Horror, which I was planning on using the October Group Read to fill. 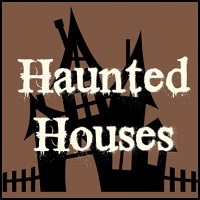 Meanwhile, I'm working on the Haunted House square right now with Nora Roberts' second In the Garden book, Black Rose. Then I'm thinking of tackling either Magical Realism or Diverse Voices--haven't quite decided which one yet. And then, instead of reading Red Lily, Nora Roberts' last In the Garden book for the Creepy Raven Free Space, I've moved it to Terrifying Women--with the broader description of this space that now includes mystery, suspense, and supernatural, instead of horror only, it will fit just nicely. And it will fulfill my need to close up the Penni frame. Then I moved Nine Coaches Waiting by Mary Stewart to the Gothic square, because it seemed more fitting than the Susanna Kearsely book I'd initially chosen. Meanwhile, I've picked up two other books I've decided to try for the Magical Realism square--I've suddenly lost interest in Amy Tan's Saving Fish From Drowning, so it looks like that book is either going to sit on my shelves for a while longer, or just be given away, unread. My other two choices right now, are quite different from one another: The Ocean at the End of the Lane by Neil Gaiman, or The Dress Shop of Dreams by Mena van Praag. I felt like trying something a little different instead of just falling back on Sarah Addison Allen as a default magical realism read. I love how I keep making plans and then totally abolishing them, though, so a lot of what I've been rambling about... probably going to change again next week... Reading moods, ya know?